Mod Squad is an authorised Australian retailer for CronusMAX PLUS. Why buy from us? Flexible payments. Fast delivery. Full Australian warranty. Expert support. 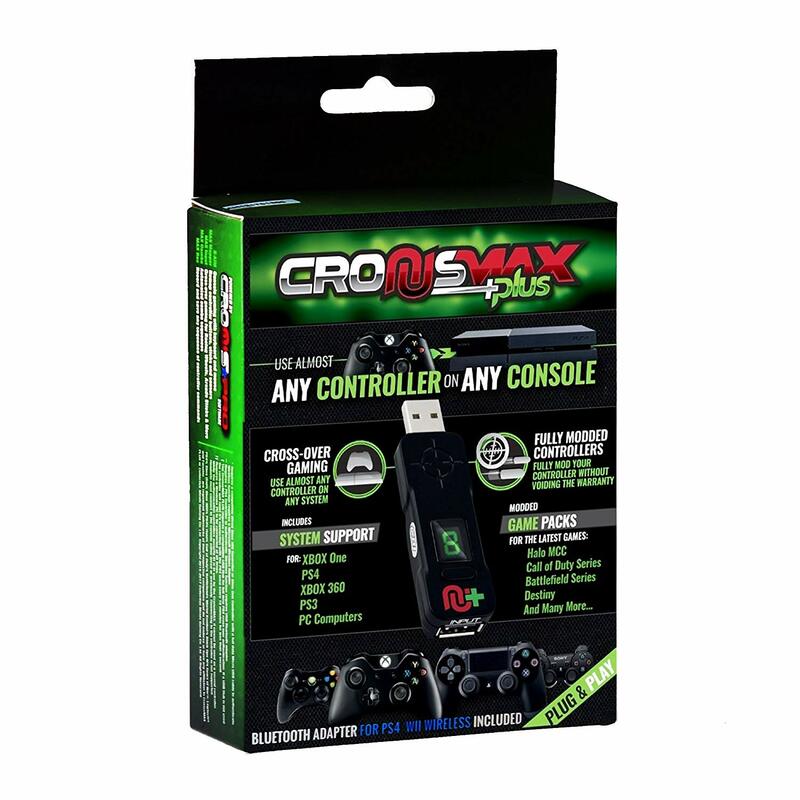 CronusMAX PLUS is the world’s best selling video game converter for controllers and joysticks on PS4, Xbox One, PS3, Xbox 360 and Windows PC. Use Rapid-fire, Anti-recoil and Aim-assist mods undetected on PSN and Xbox Live, without modifying your controller or voiding your warranty. Winner of PCMag.com Editor’s Choice award, CronusMAX PLUS converts your controller into a fully loaded war machine without installing any chips or wires and DOES NOT void your warranty. 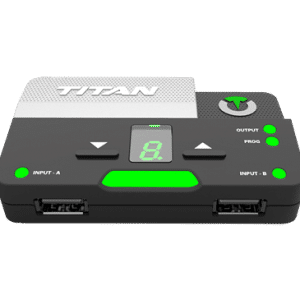 CronusMAX PLUS adds mods like Rapid-fire, Anti-recoil, Aim-assist, Jitter, Quickscope, Akimbo, Drop-shot, Rapid-reload, Auto-breath and more without spending hundreds of dollars on an expensive modded controller. CronusMAX PLUS works with all Xbox One and PS4 models, and many new controllers like the Xbox One Elite Controller, Razer Raiju and Nacon Revolution Pro. connections on PS4 and Xbox One for legal competitive event play, including every Call of Duty World Championships since 2016. CronusMAX PS4 Wheel Edition mode enables Logitech G25, G27 and Driving Force GT steering wheels on PS4 with full Force Feedback, including shifter and pedal support, without a PC connection (requires USB hub, sold separately). To use an Xbox One, Wii U or other third-party controller on PS4, enable PS4 Partial Crossover Support in the Cronus Pro app to automatically reconnect every 10 mins. 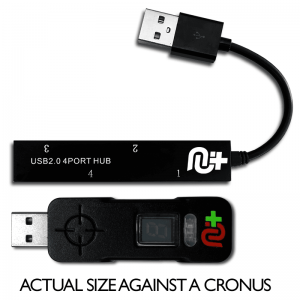 To avoid these short gameplay disruptions, purchase a CronusMAX USB hub for Full Crossover Support with no controller disconnects. Cronus PRO app requires a PC running Windows 7/8/8.1/10 x86/x64. 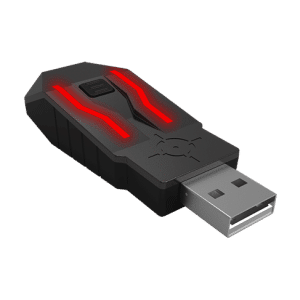 CronusMAX PLUS firmware updates require a PC running Windows 7/8/8.1/10 x86/x64. 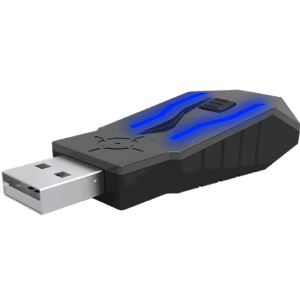 PS4 – CronusMAX PLUS requires a genuine Sony DualShock 4 controller and micro USB cable (not included) for startup authentication. PS4 controller must remain connected to CronusMAX PLUS at all times. 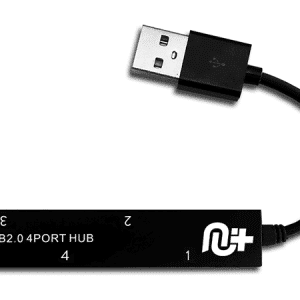 PS4 Crossover Controller Support and/or PS4 Wheel Mode requires compatible USB hub (sold separately). CronusMAX does not fully support steering wheels on Xbox One. 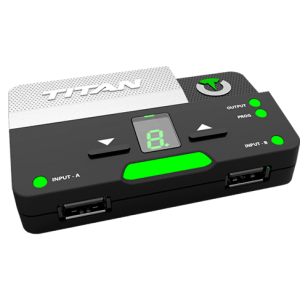 Xbox One – CronusMAX PLUS requires a genuine Microsoft Xbox One controller and micro USB cable (not included) for startup authentication. 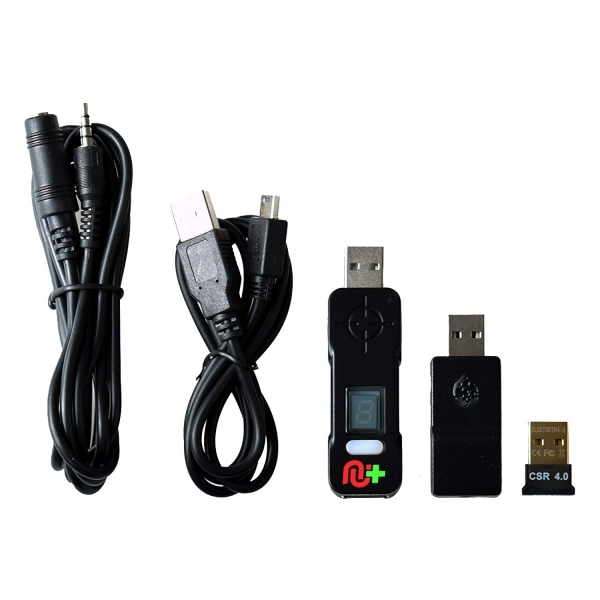 PS3 – CronusMAX PLUS requires a genuine Sony DualShock 3 controller and mini USB cable (not included) for startup authentication. 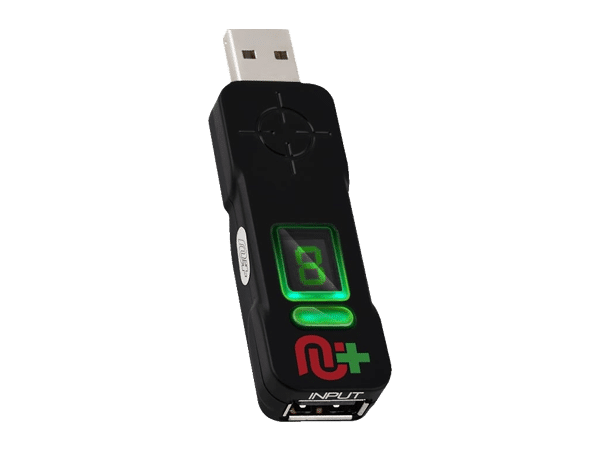 Xbox 360 – CronusMAX PLUS requires a genuine Microsoft Xbox 360 wired controller (not included) for startup authentication. 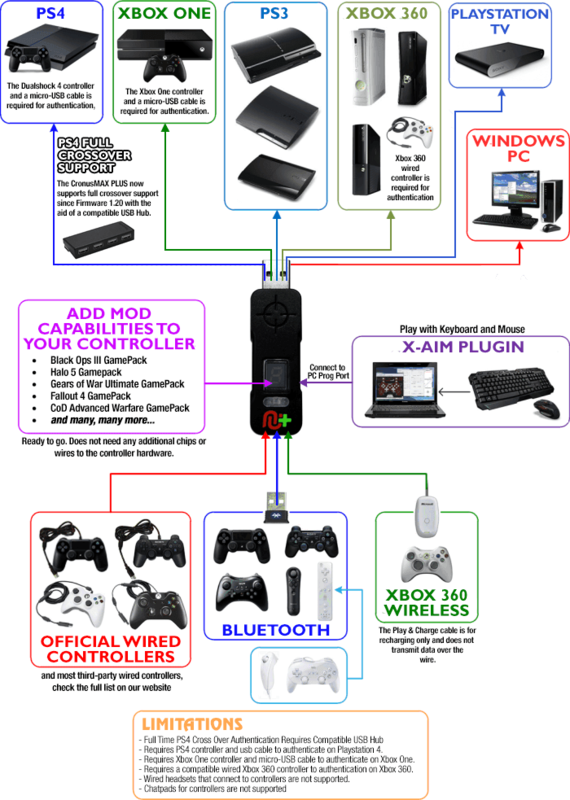 Wireless Xbox 360 controller with play-and-charge kit not supported. Controller headsets and chatpads are not supported. CronusMAX PLUS includes a USB Sound Card and 3.5mm extension cable for PS3 & PS4 (USB audio is not supported on Xbox consoles). 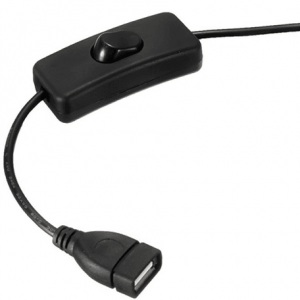 Wireless gamepad support for PS4, PS3, Wiimote, Wii U Pro requires Bluetooth USB receiver (included). Wireless Xbox 360 controller requires a 360 wireless receiver (not included). Wireless Xbox 360 controller requires a 360 wireless receiver (not included).Wireless Xbox One controllers are not supported. Xim Apex requires an original PS4 controller (not included) to work with CronusMAX. PS4 Pro / Slim controllers do not work. 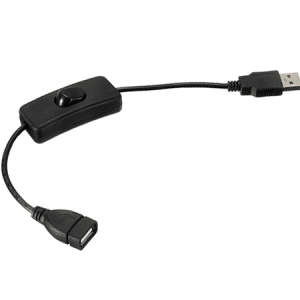 Using CronusMAX PLUS with Android devices requires a USB OTG adapter (sold separately). Turn the console on by using its power button.